Move mouse over the image above and scroll to adjust zoom level. GARD Patented Mid-Bag Suspension System, Foam belts /pads, and cone inserts for your instruments. Padding made up of dense, thick and impact resistant High-Density foam. The bag interior has 25mm of foam on all sides of the instrument. 1” Zipper guard protects the instrument from accidental scratching from metal zippers. All weight bearing joints are riveted as well as stitched. Wheelies have a front kick-stand that prevents the bag from toppling over due to weight of the instrument. Wheelie bags also feature a telescopic handle to allow easy adjustment to the height of the player. Carry Handle / grip Handle made of real leather is soft to touch and adjusts comfortably to your hand. 2” Wide Shoulder strap included with bag. Wheelie can be carried as a backpack. Most bags come with a special rain-cape to protect it from water damage during inclement weather. 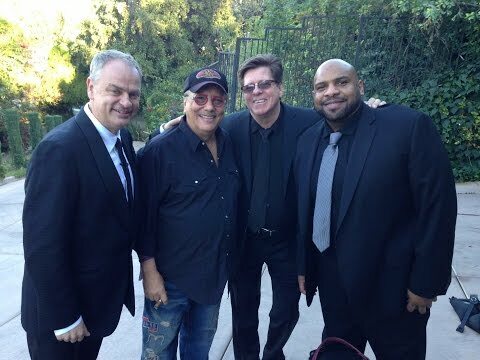 The Gardfathers Arturo Sandoval, Jens Lindemann and Wayne Bergeron are back, with Rashawn Ross, a brand new addition to the GARD family. 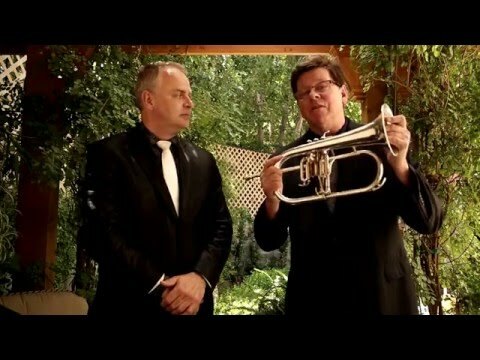 Jens Lindemann and Wayne Bergeron arrive at an undisclosed location to try and impress EL PADRONE (Arturo Sandoval) with what is inside their Gard Bags.